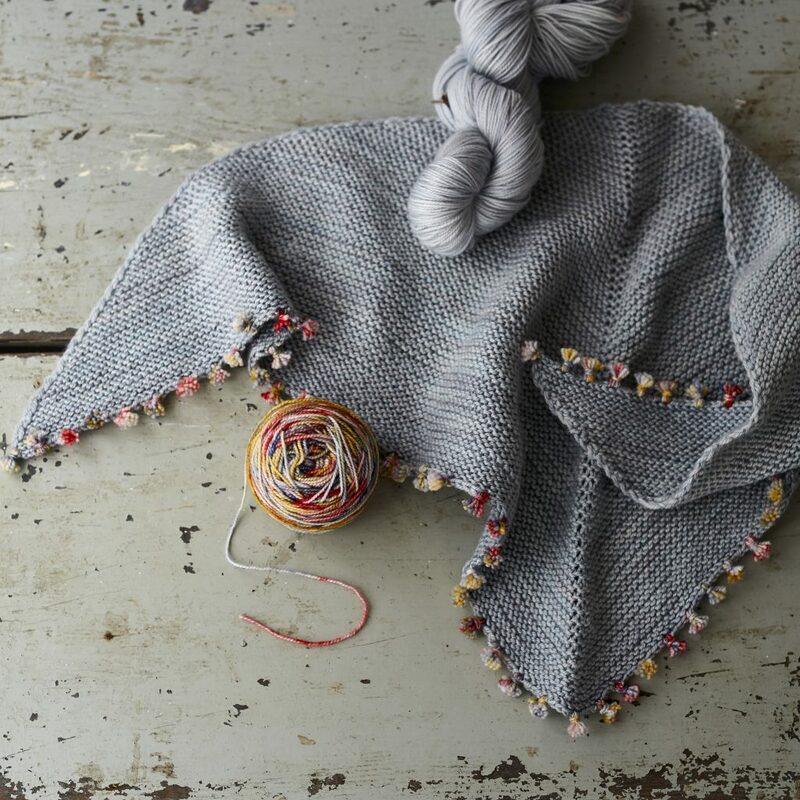 This beautiful shawl adorned with a tiny tassel edging is an enjoyable easy garter stitch knit using Qing Fibre’s gorgeous colour selection in 100%merino super wash.
A stunning gift and family heirloom. 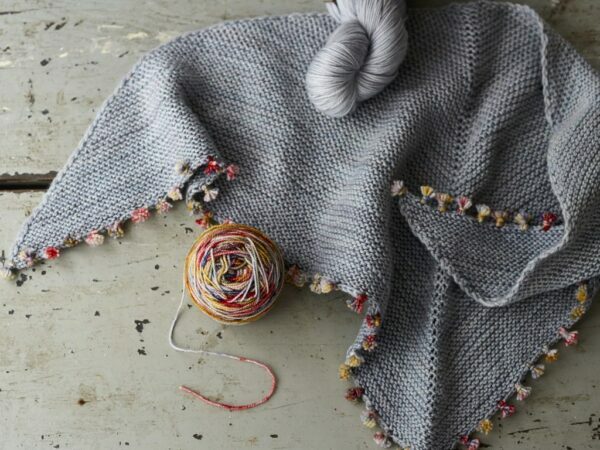 Cost includes one skein of Qing Fibre and one ball of Debbie Bliss Alpaca Rhythm for the tassels. Needles for use during the class.